It's been a while since I did a personal project. Many artists struggle with finding inspiration. This isn't my problem. I'm constantly inspired and I have tons ideas I want to produce. My problem is to have the actual time to produce them. After a couple of years after I finished my latest photography project about abandoned cars claimed by nature called "From the backseat of my car", I decided it was time to focus and do something for fun. 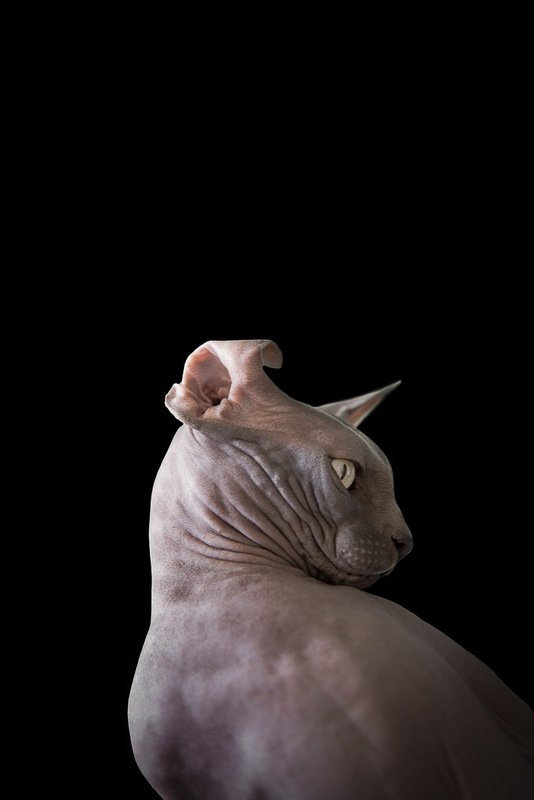 This time, thought, I chose a more alive subject: the incredible and stoic hairless cats. 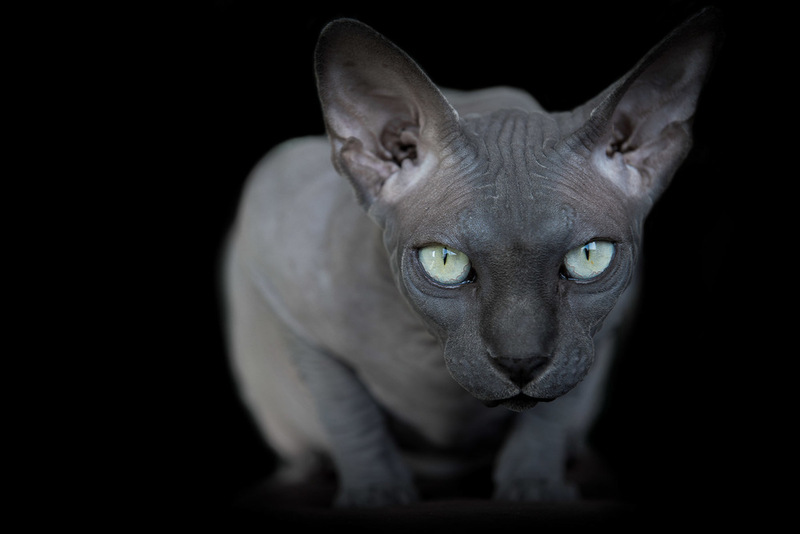 Also know as Sphynx cat. 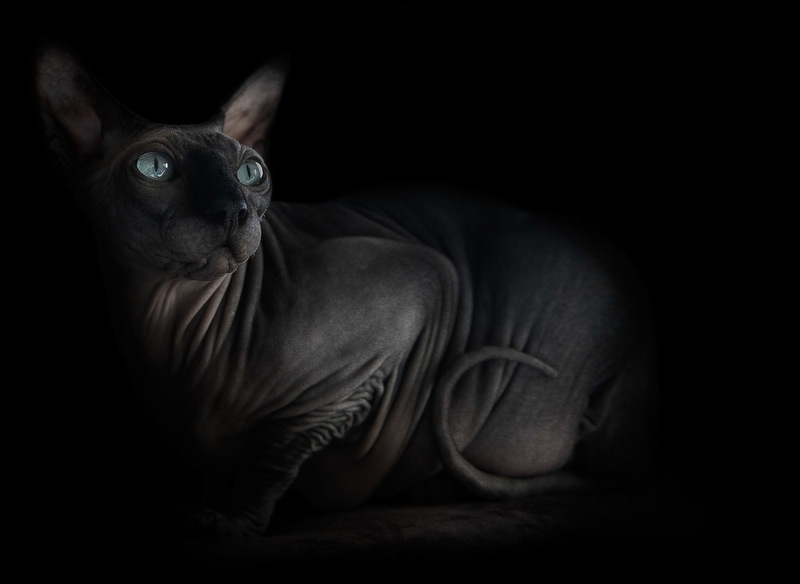 Sphynxes (hairless cats) fascinate me in many ways. I am drawn to their alien like characteristics. Without fluffy and fancy coats, this breed shows what a true cat is with every fold of skin and with every noticeable movement; everything is raw, exposed, and vulnerable. There’s something disturbing yet eerie that makes me astonished ever time I look at one of them. In this body of work I explore the beauty of the Sphinxes within their oddity.